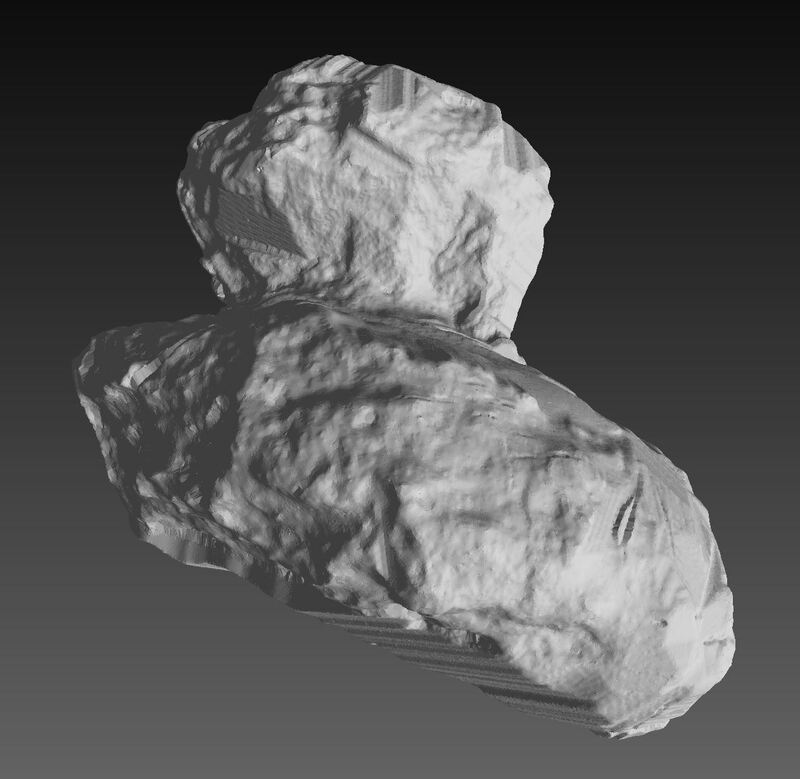 This is my work in progress Shapemodel for 67P/Churyumov-Gerasimenko. Fantastic work ! How do you reduce the stereoscopic datas ? It is a rather involved process… I reconstruct spacecraft position and orientation in a image modeling software. Then i use another software to do stereo correlation given the derived basline between two cameras. Then i take the resulting stereo data and lowpass filter it to remove the noice. But then i also loose the highfrequency detail. So i use a Shape from shading algorithm to build highfrequency data. Highpass filter that so that i do not get band overlaps. Add it to the stereo data. That way I can get very clean highresolution depth buffers. These buffers are then combined to a solid mesh. For the areas where i do not have stereo coverage i resort to another shape recovery technique calked spacecarving. All of this is done in various software and homebrewn code.